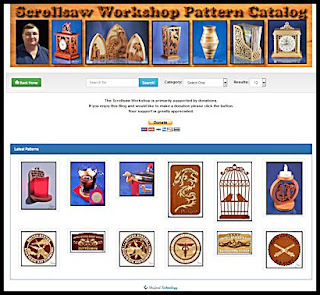 Ten Simple Scroll Saw Clock Patterns. Want to say thank you to someone. These very simple clocks can be cut in less than an hour. You can use up scraps. 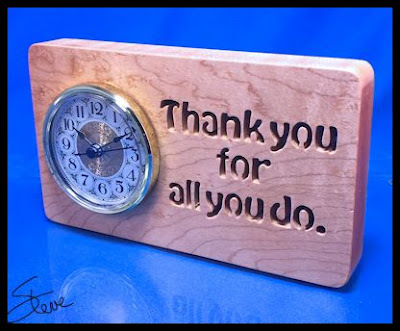 The 2 3/4" Clock insert can be purchased for around $8 making it an inexpensive gift that is hand made. 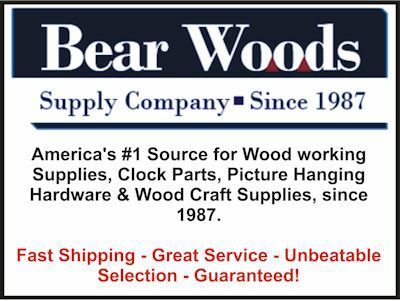 I got my clock insert from Bear Woods. These clocks use the 2 3/4" insert with a 2 3/8" diameter mounting hole. Speaking of Bear Woods. They sponsor our monthly giveaway. 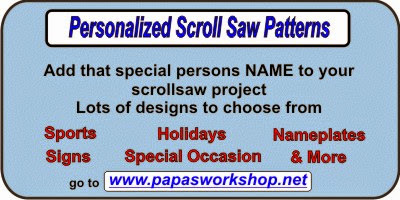 They also sell the Pegas brand of scroll saw blades. I used a Pegas Modified Geometry #5 blade to cut this clock. The clock is cut from hard maple and that's tough to cut at this thickness. The modified geometry blade cut it extremely well. I have not used modified geometry blades very often. I knew they were suppose to be very efficient blades so I thought this would be a good test. The MGT #5 blade would probably be considered a # smaller than you would use for 1 inch thick hard maple. 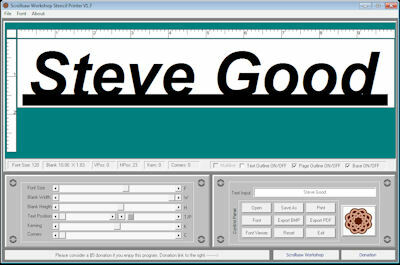 I wanted to go smaller so the text would be easier to cut. The MGT blade showed no noticeable drift. The cuts were extremely true. Sometimes wood this hard and thick will cause the cut to not be 90 degree because you tend to put side pressure while cutting. That can make the waste difficult to remove in one direction. The MGT blade cut so well that the pieces came out easily in both directions. This is a sign of how efficient they are. They did show minor tear out on the reverse side but no worse than the scroll reverse blades I normally use. I am confident I will make this my go to blade for thick or hard wood. I will try them on thinner stock and see if that holds true there also. 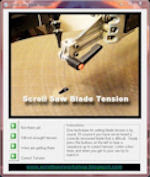 I love my scroll reverse blades but this might change my mind. To be transparent Bear Woods is a sponsor. 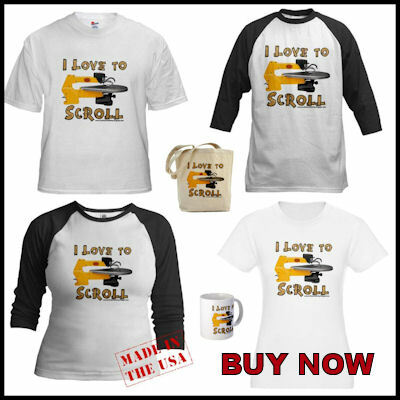 I sell them advertising in exchange for them sponsoring the monthly giveaway. I also get a few free supplies from them. I promise I will be objective in reviewing their products. They don't pay me enough to lose my readers by doing bad reviews. The Pegas blades are high quality and I use them myself even before Bear Woods became a sponsor. Forstner bits are very handy when making clocks using inserts. Installed in a drill press they make accurate holes to any depth needed. 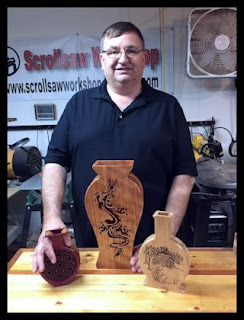 This eliminates the need to cut the hole with the scroll saw. 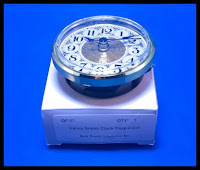 They are not cheap but if you plan to make many clocks they are worth the price. Don't think you have to buy one though you can cut the hole with the scroll saw. It's just more time consuming and less accurate. Here is a link to the one for this size clock. Forstner Bit Link. You can also buy the forstner bit for the common 1 7/16" mini inserts at this link. I own a complete set of forstner bits and I purchased the 2 3/8 bit as an addition. 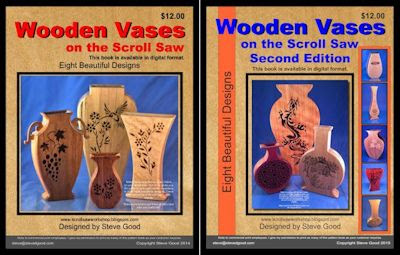 They can be used with a hand drill but are much safer and easier to use in a drill press. 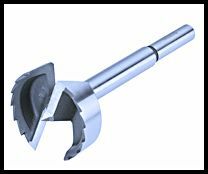 If you use them in a hand drill please clamp the piece down. That's also a good idea when using a drill press. The bit can grab the wood out of your hand an start spinning causing it to hit your fingers. Just be safe. 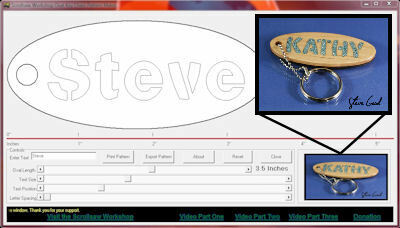 Order you Personalized Christmas ornaments here.